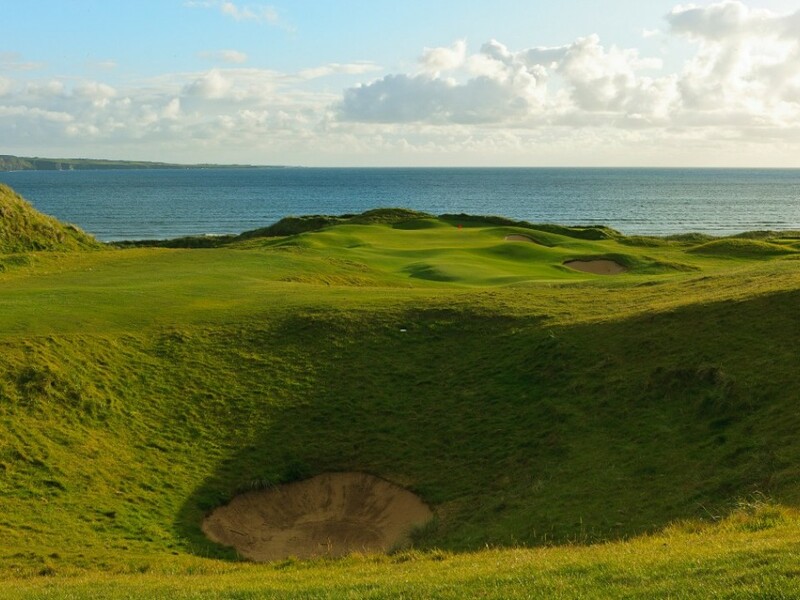 With almost as long a golfing history as Scotland, Ireland offers an extravagant banquet of superb golf – This 12 day tour includes 7 of the most challenging links courses that dot the Emerald Isle’s coastline as well as 2 magnificent parkland layouts. 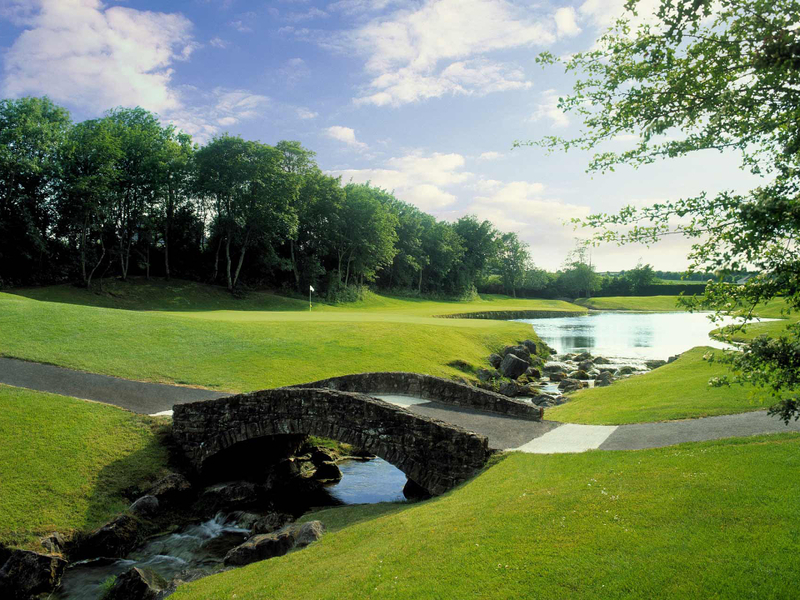 Play 9 truly memorable rounds of championship golf in 5 distinctive Irish regions with a myriad of sightseeing attractions at your fingertips, then wrap everything in a large package of genuine Irish hospitality and you have our Jewels of Ireland trip! In existence since 1961, our course was designed by the renowned golf architect Mr. Brook L. Wigginton. 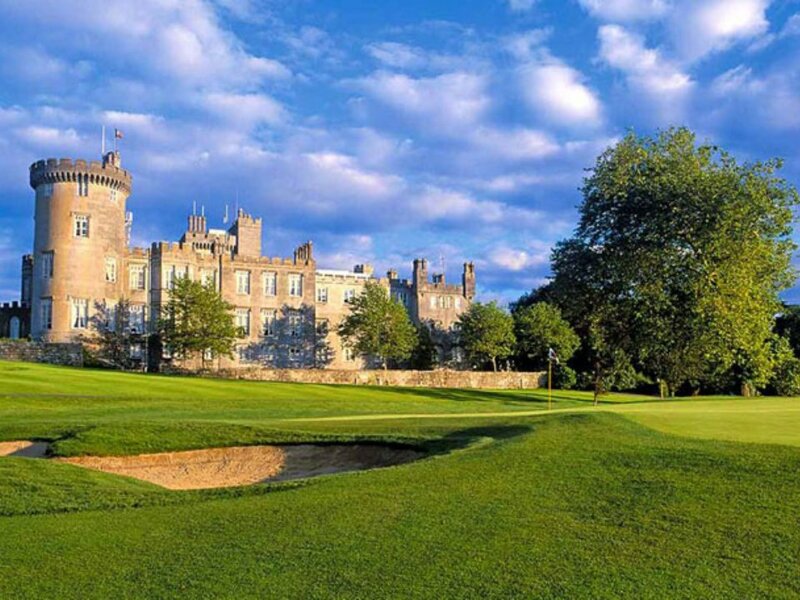 In 2003, the par 72 Dromoland Castle Golf & Country Club championship parkland course was carefully redesigned and updated by world class architect Ron Kirby and Irish golfing legend J.B.Carr. Deceivingly attractive to look at, but with teeth that will surprise and befuddle those who may be anticipating just another pretty walk in the park. 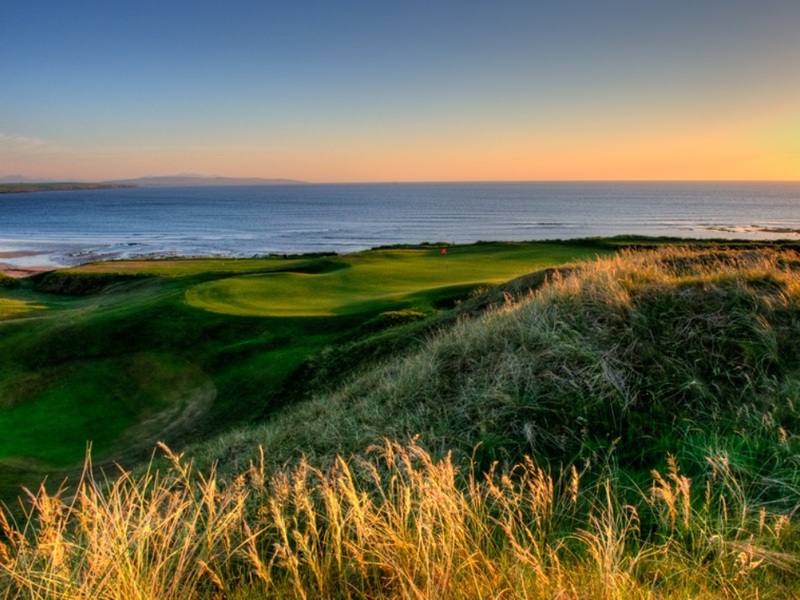 Lahinch is steeped in history and the features of this famous course are carved out of natural terrain. The Old Course is the permanent home of the South of Ireland Open Amateur Championship (first played in 1895). 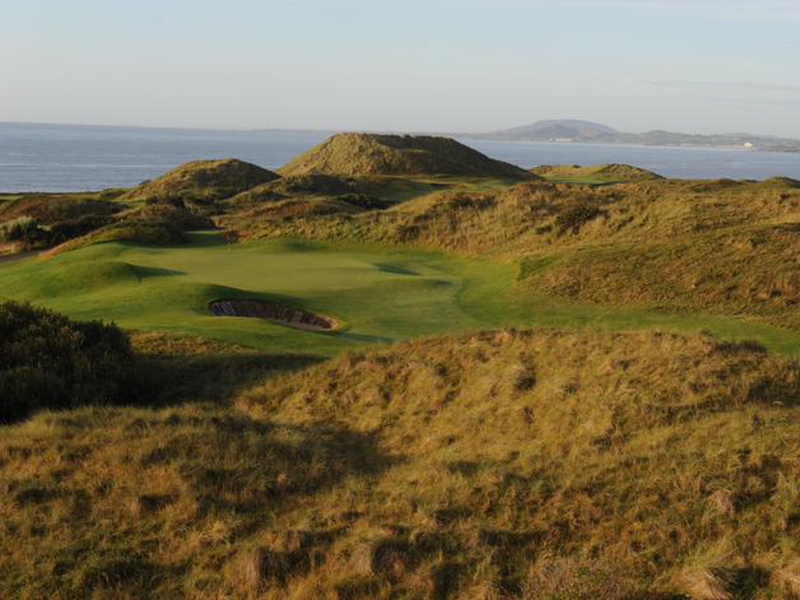 This course also regularly hosts the Irish National Amateur and Professional Championships. Greg Norman was commissioned to design this course, and every care was taken to consider the preservation of the delicate ecosystem that exists around the dunes when designing the course. On first visit to the site of the course in Doonbeg, Norman remarked that “the site was made by God for playing golf. Undoubtedly, Ireland’s most famous golf course – a place of giant sand hills and deep valleys, this links course is a treat for the senses. Wildly beautiful and spectacularly located, when the wind lashes in from the Atlantic, this is not a place for the faint-hearted! 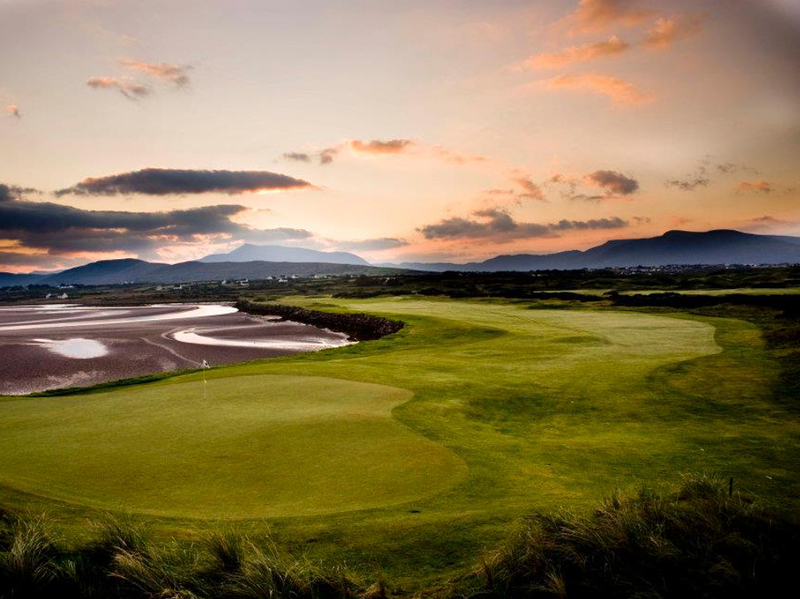 Although it does not have the history of Ballybunion and Lahinch, this majestic links course perched on Ballinskelligs Bay has become accepted as one of the finest courses of its kind anywhere in the world. Long but not hilly, it is enjoyable to walk, with spectacular views of the Atlantic Ocean and Kerry Mountains. Each hole has individual characteristics and every club in the bag will be needed. 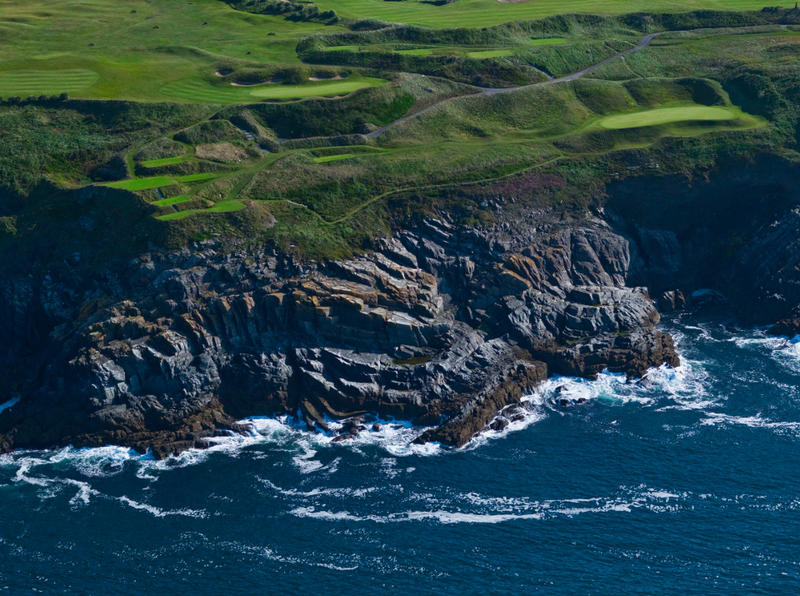 Old Head incorporates a total of eighteen holes, nine of which play alongside the cliff tops, providing an exhilarating test of golf and concentration for players of all standards and categories. The vagaries of the Atlantic winds will ensure that the course provides a fresh challenge each day. The only Jack Nicklaus designed course in Ireland, this layout features old specimen trees, many water hazards and contoured greens. Host already to the Irish Open as well as many national and international competitions such as the 2002 and 2004 Amex World Championships, and other events such as the Irish Opens of 1993 to 1995. It is set in a beautiful old 1,500 acre estate and appeals to all levels and standards of golfers. 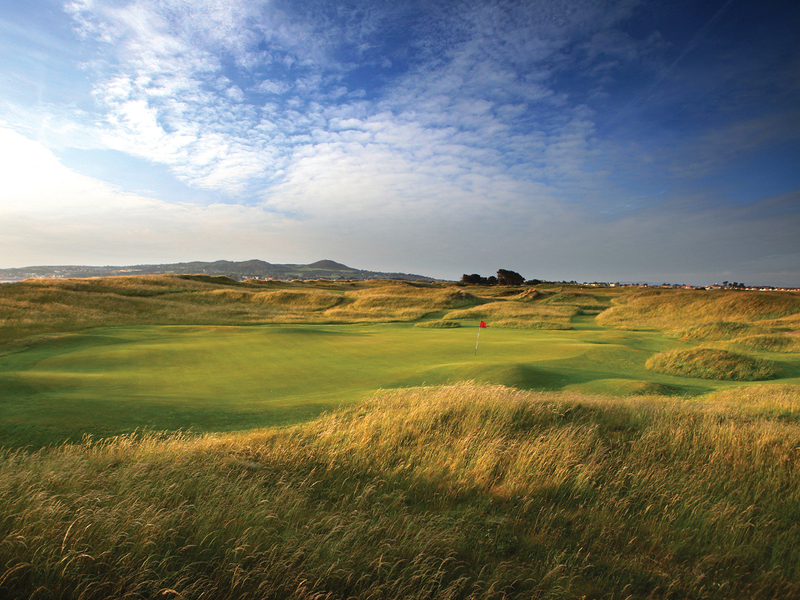 Host to some of the greatest tournaments in golf, including the Walker Cup , Canada Cup (World Cup), Portmarnock Championship has hosted the Irish Open on 19 occasions, beginning in 1927 when the tournament was first held. This course displays what many consider to be the finest use of bunkering on any course in any country. 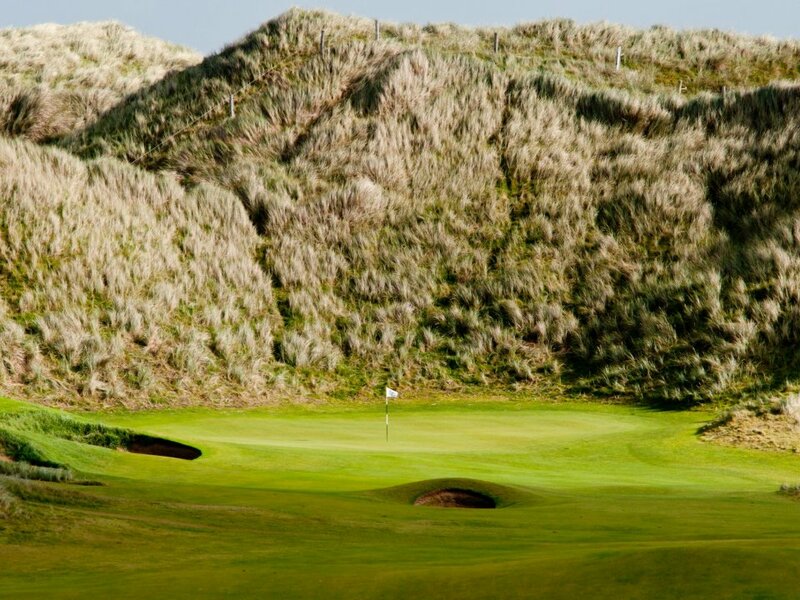 The 14th and 15th are Portmarnock’s most famous with the former being described as “the best hole in the world” by Sir Henry Cotton. This links designed by Pat Ruddy offers a rare combination of golf challenges and fantastic scenery as the holes plunge into deep valleys in the sand dunes, run on a sand spit through age old marshlands and along and up into the rugged cliffs of Mizen Head. The 18 hole round is an impressive 7,355 yards long, with two additional par-3 holes playable on most days to round out a great golfing day. The Irish Sea can be seen from every hole on the links and the Wicklow Hills complete the view. Interested in booking this trip? Fill out this short form and one of Golf International's representatives will follow up with you shortly.